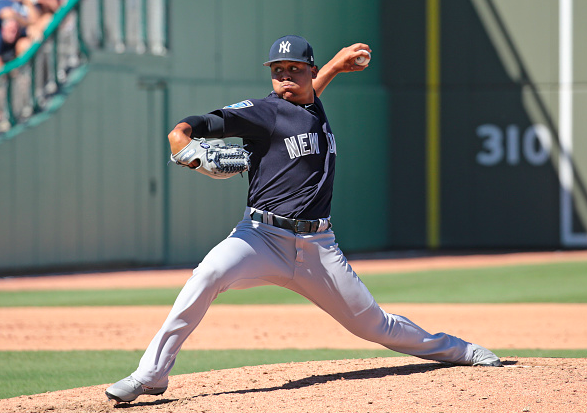 It appears the Yankees’ top pitching prospect Justus Sheffield has been promoted to The Show. Joining Sheffield in the Bronx will be righty Domingo Germán. Sheffield, 22, is the Yankees’ top prospect according to MLB Pipeline, and 27th overall in the league. The southpaw had a solid 2018 between Double and Triple-A. In 25 games (20 starts), Sheffield pitched to a 7-6 record and 2.48 ERA through 116 innings. He has been pitching exclusively out of the pen the last few weeks to get him ready for the call up. Germán, 26, is 2-6 with a 5.68 ERA in 19 appearances (13 starts) in the Majors this season.